I recently bought some brand new running shoes as my last ones were dead – there was no tread left and it was starting to hurt when I went for a run. 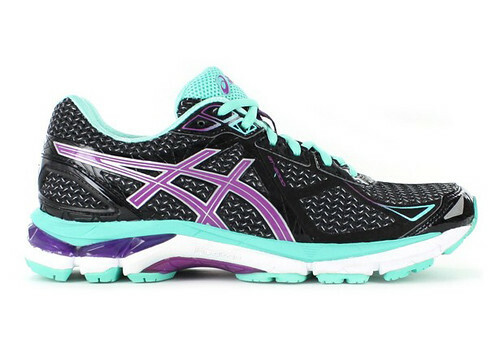 I had ended up investing $199 into some brand new Asics, which I wrote about here. At the time I had mentioned that I was getting blisters with these new shoes, but expected them to go away. After 3 weeks, that wasn't the case and I was still experiencing some extremely painful blisters on my big toes. I was actually quite upset, as I had reached a point where I just wasn't enjoying the shoes at all, and going for a run wasn't something I looked forward to. I had even looked at my old ones and thought about just returning back to those for the moment. I also hated the fact that I had spent $200 on some duds. Come back within 30 days if you're not satisfied with the fit of your new shoes. With the recent launch of FITZI, we're so confident that our customers are satisfied with their fit that we've launched the FIT GUARANTEE. That means that we'll offer a 30 day once off Refit for any new or worn shoes! So pick them up in store, and if you're not happy, bring them back in for your complimentary Refit within 30 days. You have no idea how excited I was. Mario and I visited the store later that day with my shoes. I was so paranoid about them saying “no” for any reason that I had gone through scrubbing the shoes clean. I didn't want them to tell me they were too worn and so there would be no exchange due to some hidden condition. I made sure the shoes looked perfect (they'd only had a few outdoor runs and a few treadmill runs so they weren't dirty to begin with, just a bit of dust on the soles). When I got there, the lady asked me to put them on so she could see how my foot sat in them. She made me walk, then kick my heels to push the shoe forward as much as it would go to see how much room I had at my toes. I then repeated the same thing but kick my toes to see how much room there was at my heels. The rule is that you should be able to get a finger down the back of the shoe easily (am I the only one in the world that didn't know this rule before?). That's all she needed to see to determine the shoes were too small. Thank god. Unfortunately she didn't have the half size up in that model, so decided to try me in the half size model of another style just to see how that fit. It felt much more comfortable immediately. She then rang one of the nearby stores to see if they had any in stock of my shoe in the size up, and thankfully they did. They put it aside to me to come and collect. Later in the day when we reached the store, he asked if I wouldn't mind doing a re-test to check the sizing. I did a repeat of the heel/toe kicks, and while he said he could see the improvement with the half size (and we tested to see the difference), he actually recommended jumping a whole size up. We did, and oh my god the comparison. Suddenly, the bits where previously I had noticed the sole of the shoe against my foot in the other sizes felt like it completely disappeared. The shoe became like an extension of my foot. I felt excited to go for a run again. The exchange was entered in the computer and away I went. It was so easy, and both staff members made me feel reassured by the amount of care they went to check the fit of each shoe. They both also went through various details of the shoe, and really showed their passion for the industry. I walked away not feeling like I had been inconvenienced in any way (the staff member actually thanked me for being so understanding) but rather like my feelings mattered and that they truly wanted the best for me. I'm bouncing from the roof hanging out to go for a run to try out the right size, which is a mammoth size 11 – the largest I've ever had in my life! This whole saga has actually made me like I want to buy all of my shoes from The Athlete's Foot in the future. It's the exact reason companies create guarantees like that – it turns the negative experience into a resounding positive one. Just a disclaimer – I received no benefit by mentioning this on my blog. I was just so impressed I wanted to share it with everyone. Have you ever bought a product that was incorrect in some way, and had such a great experience? What about a negative one?